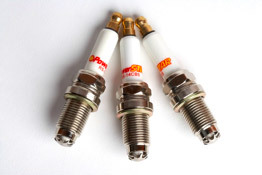 PowerSTAR Spark plugs are constructed of a new ceramic insulator that provides better heat dissipation, higher electrical insulation and greater resistance against thermal shock. Our golden gaskets and special powder sealing prevent gas leakage and provides a uniform heat range. 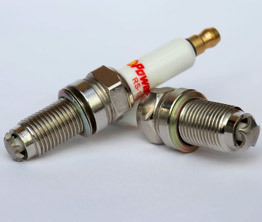 The bronze terminal provides better electrical connectivity and the internal 5k ohm resistor protects the electrical devices in the vehicle, such as the stereo, cell phone, GPS, and of course critical engine management control system. With our special copper electrode deeply inserted inside the nickel central electrode, it vastly improves heat dissipation and prevents dangerous overheating and detonation. Our chrome plated shell resists corrosion from rain and salt and makes the product look like the quality product that it is! 30 day Satisfaction guarantee, Perform better than your OEM spark plugs, and to be free of defects in material and workmanship or your money back.